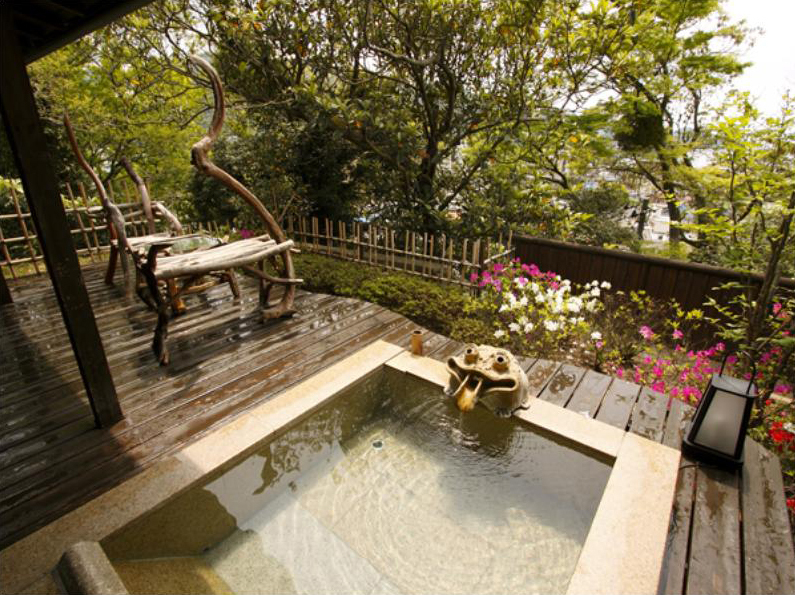 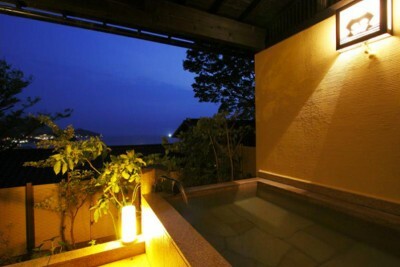 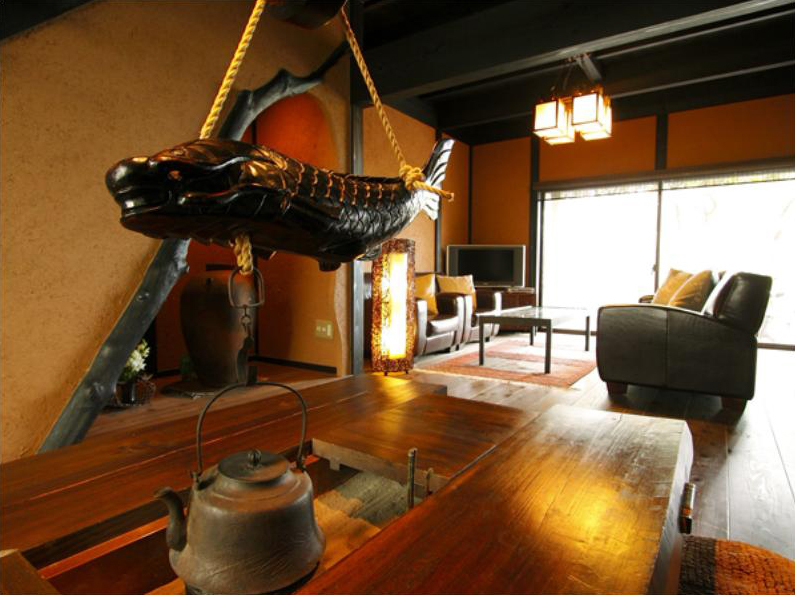 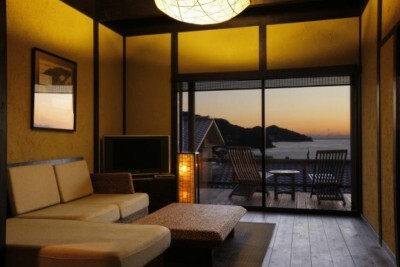 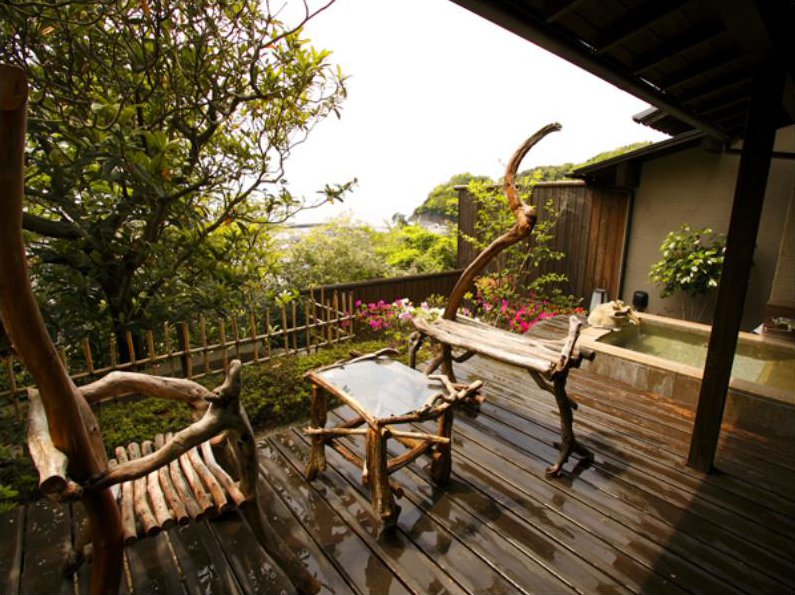 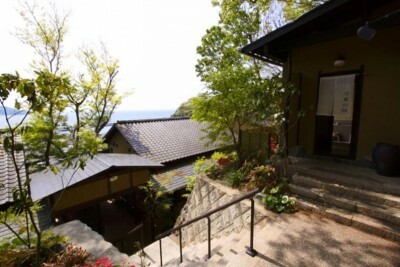 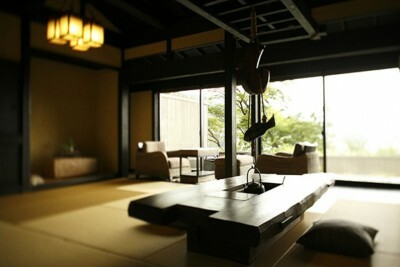 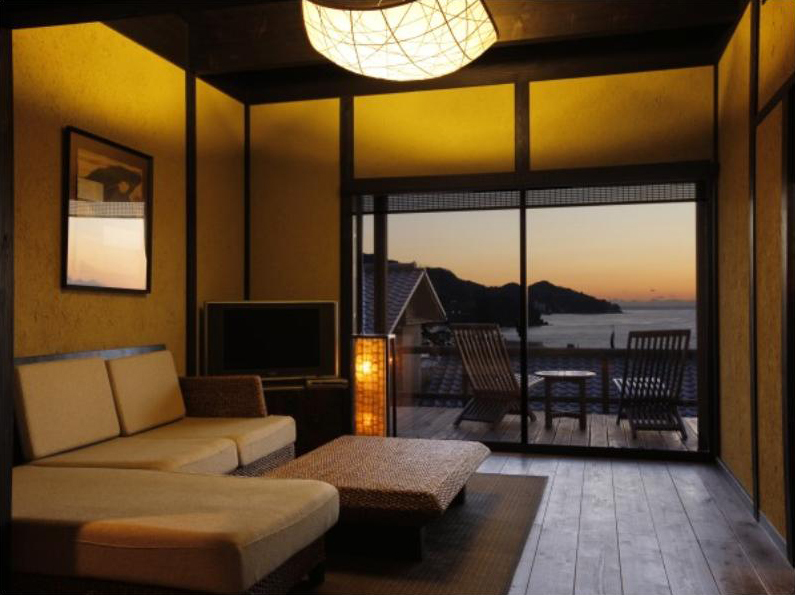 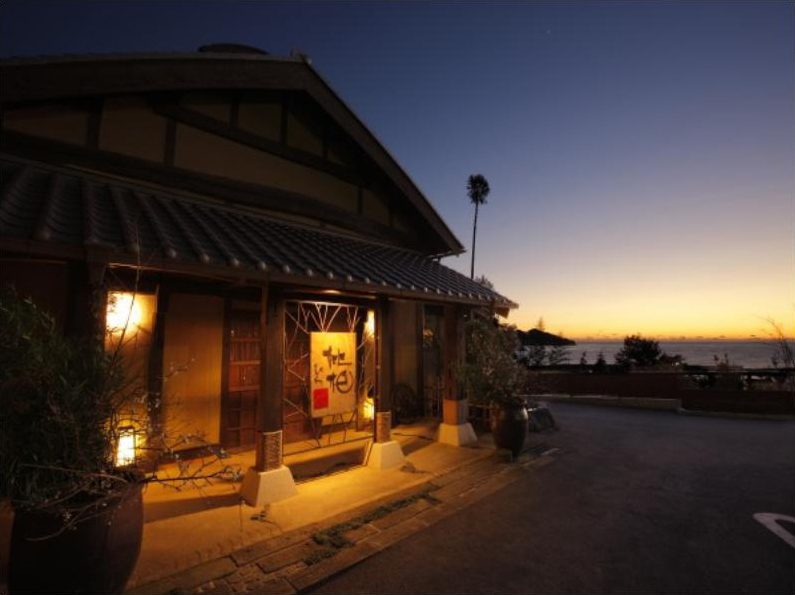 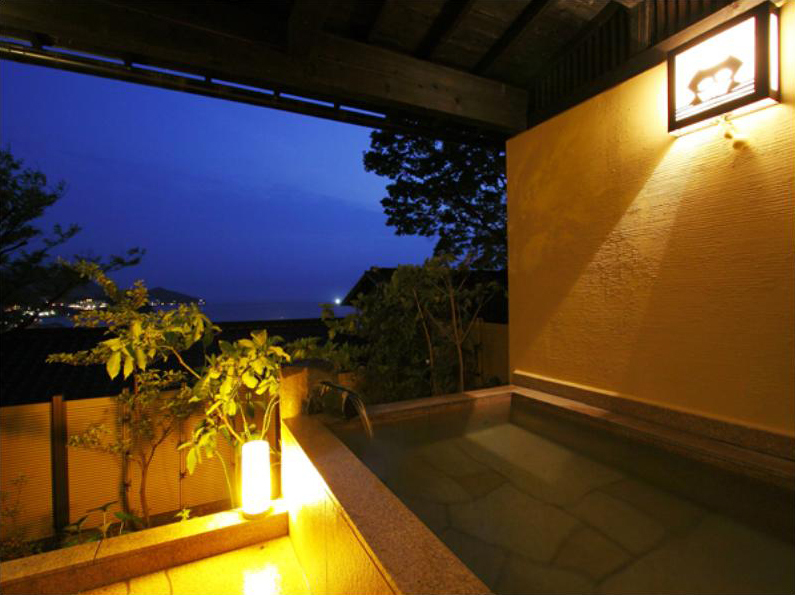 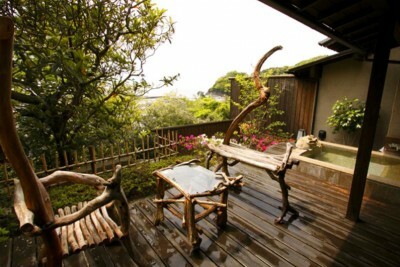 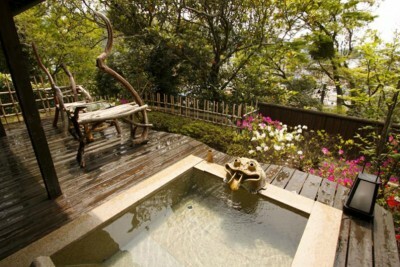 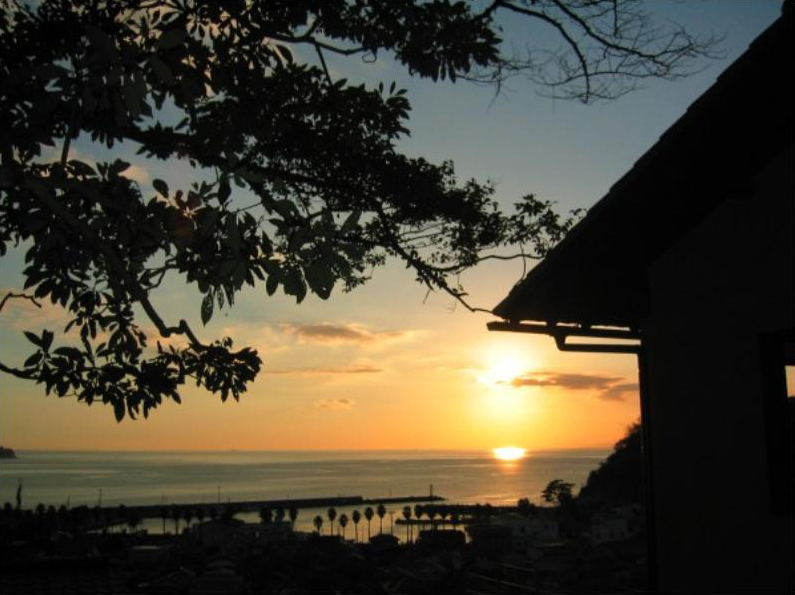 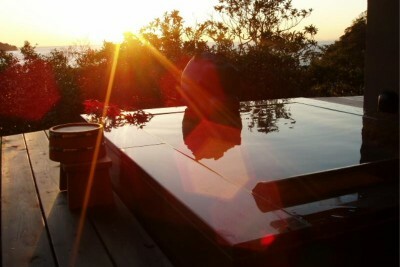 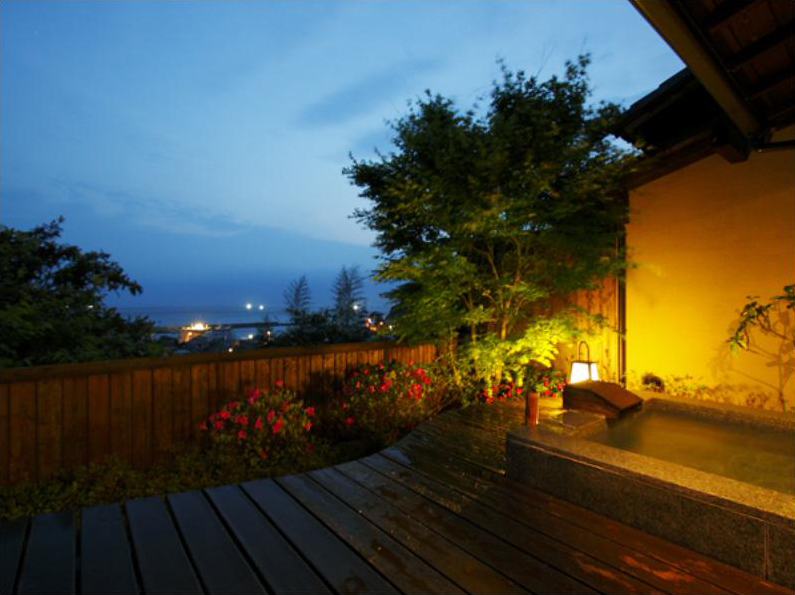 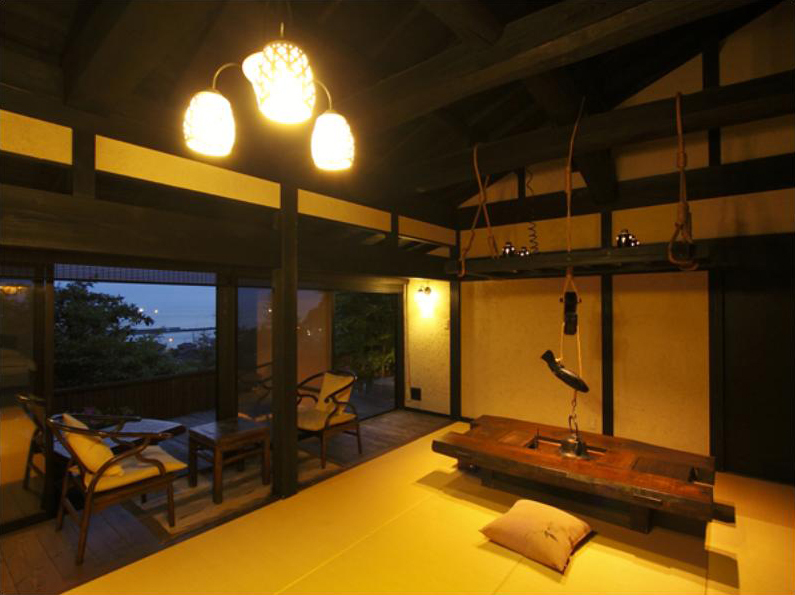 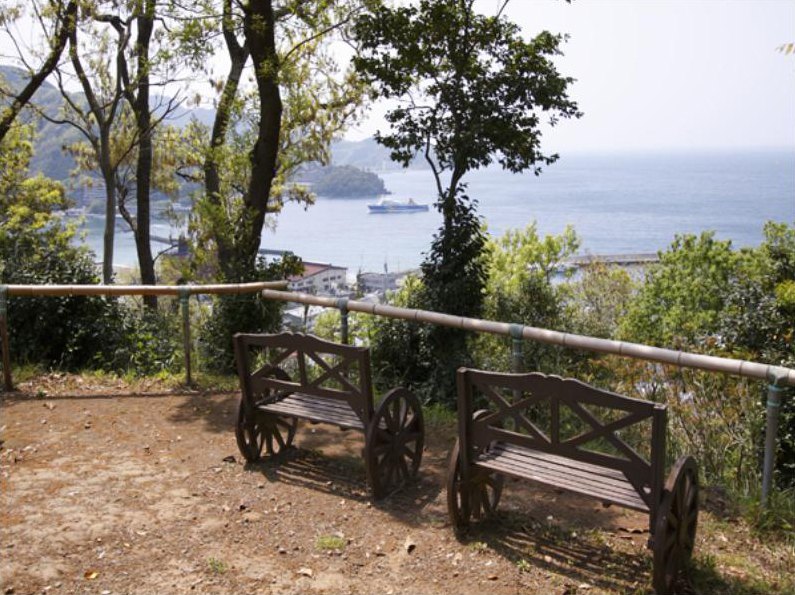 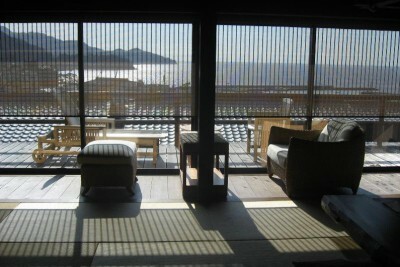 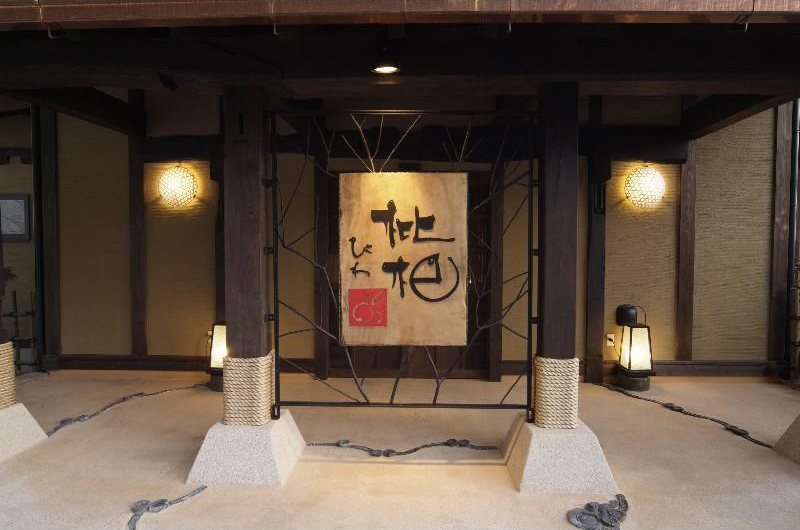 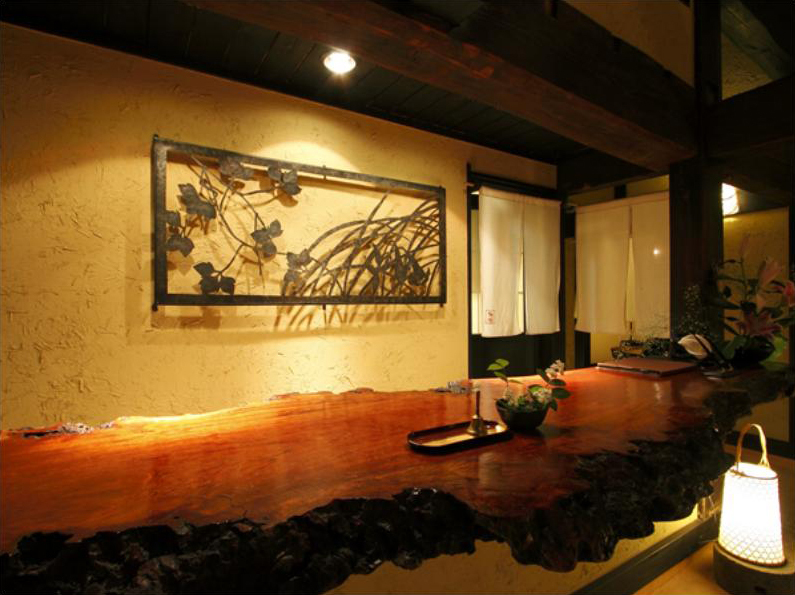 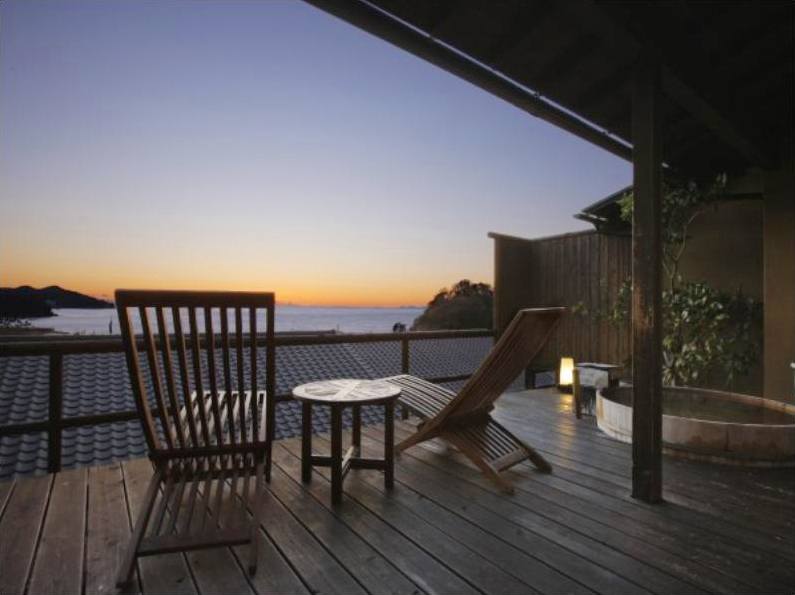 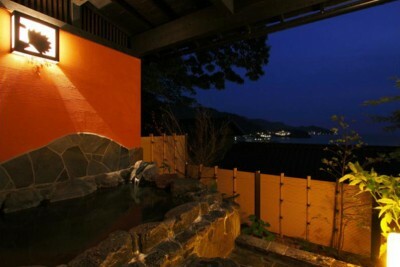 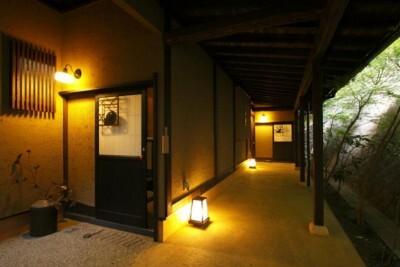 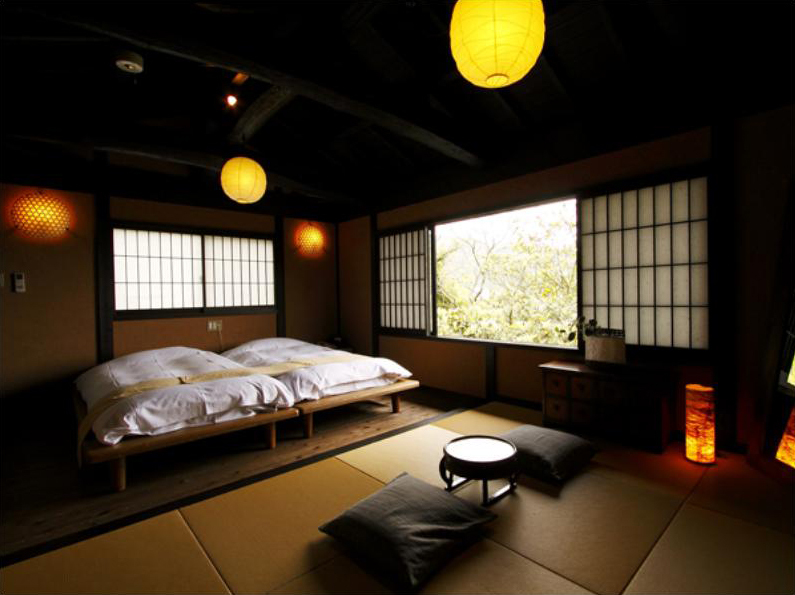 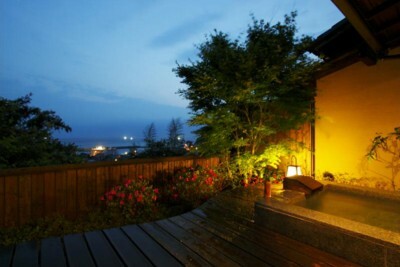 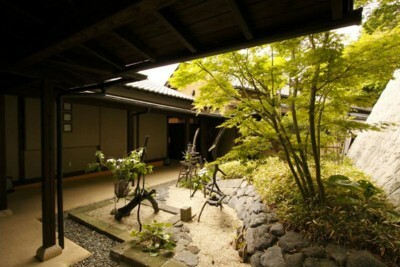 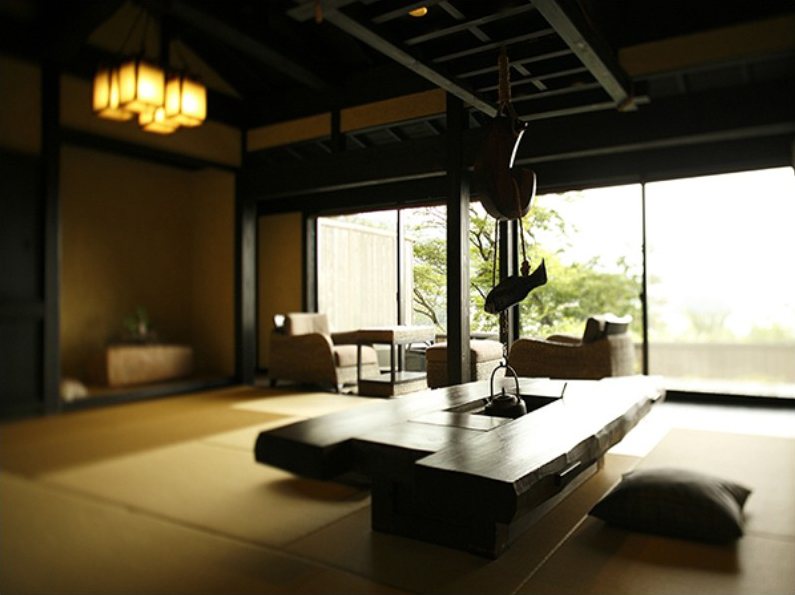 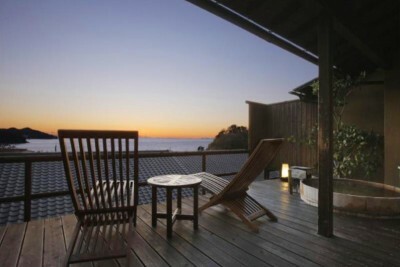 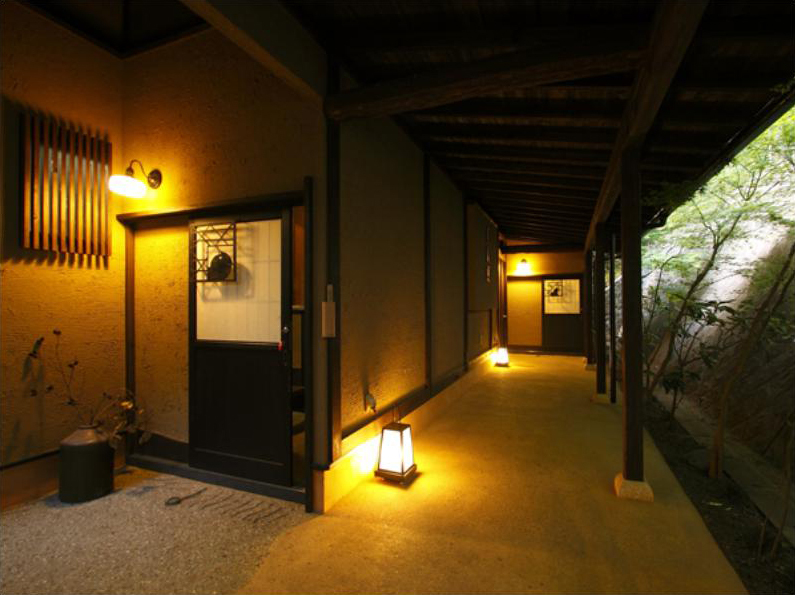 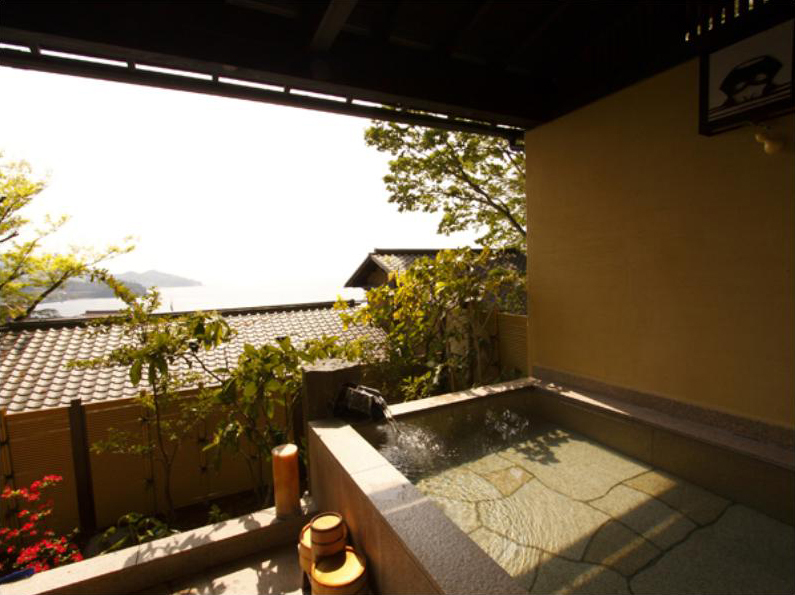 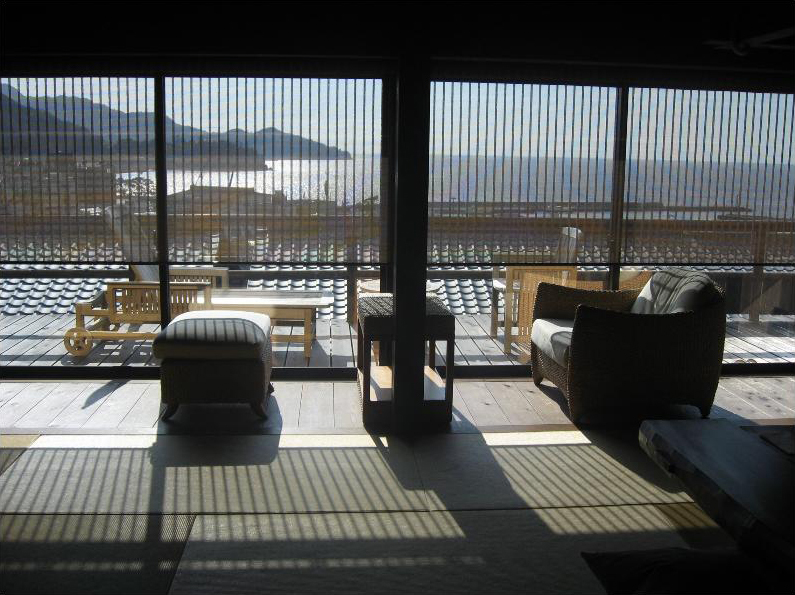 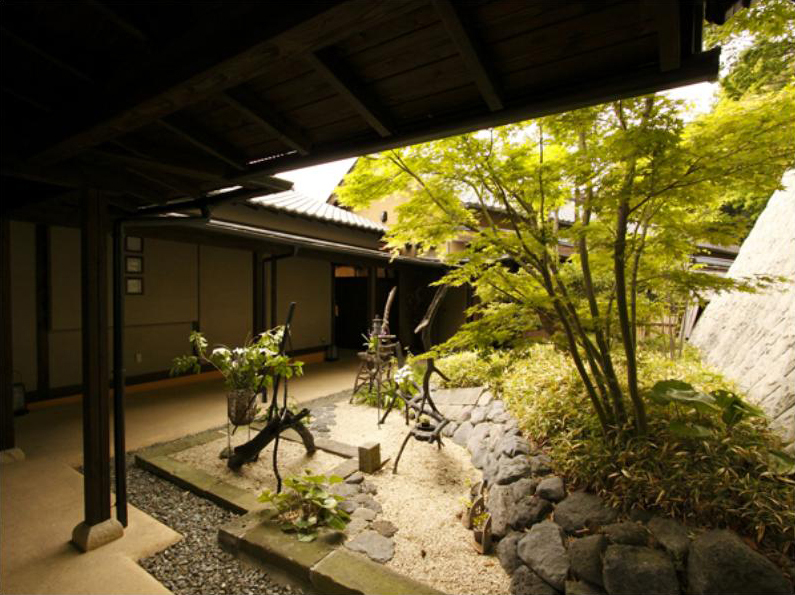 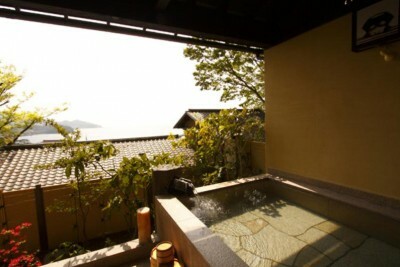 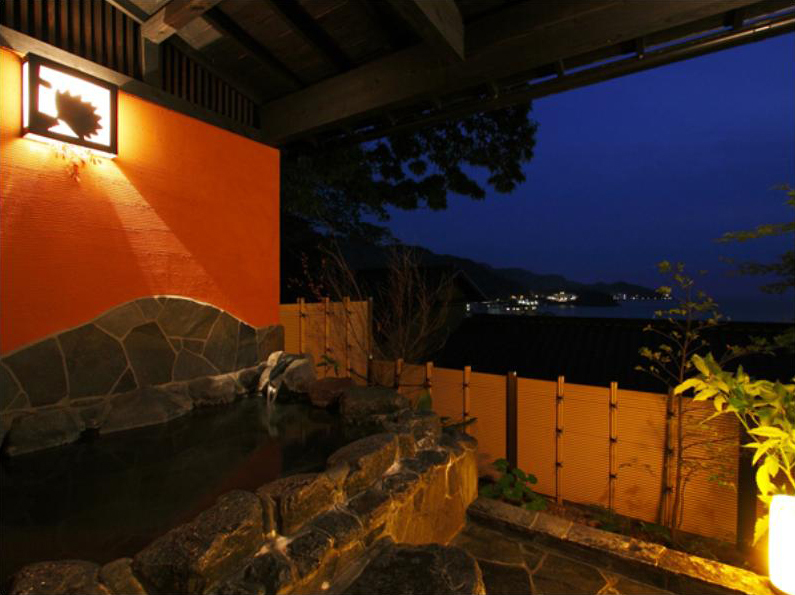 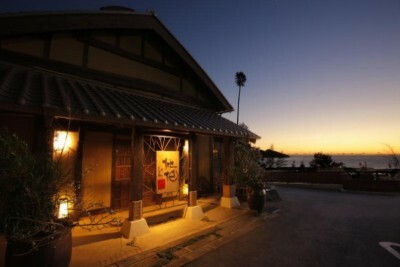 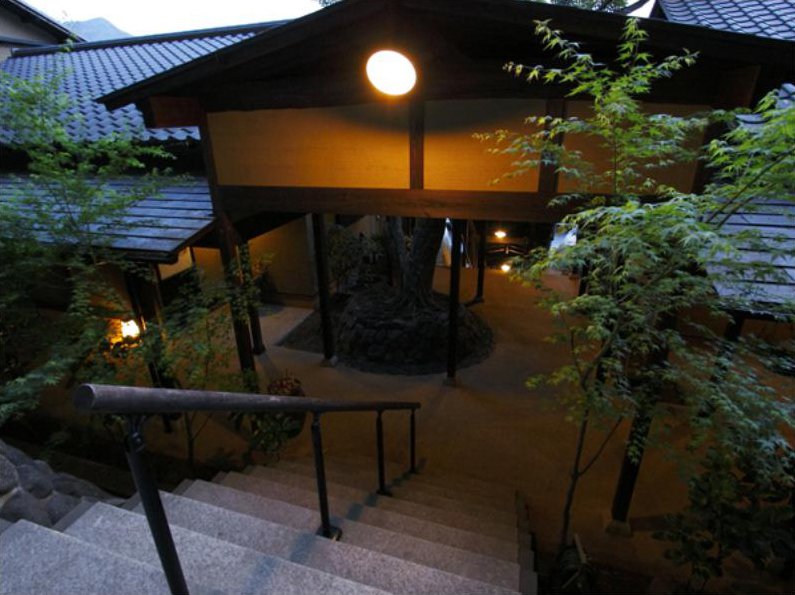 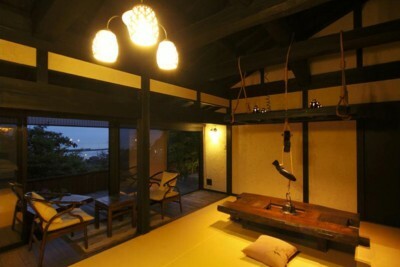 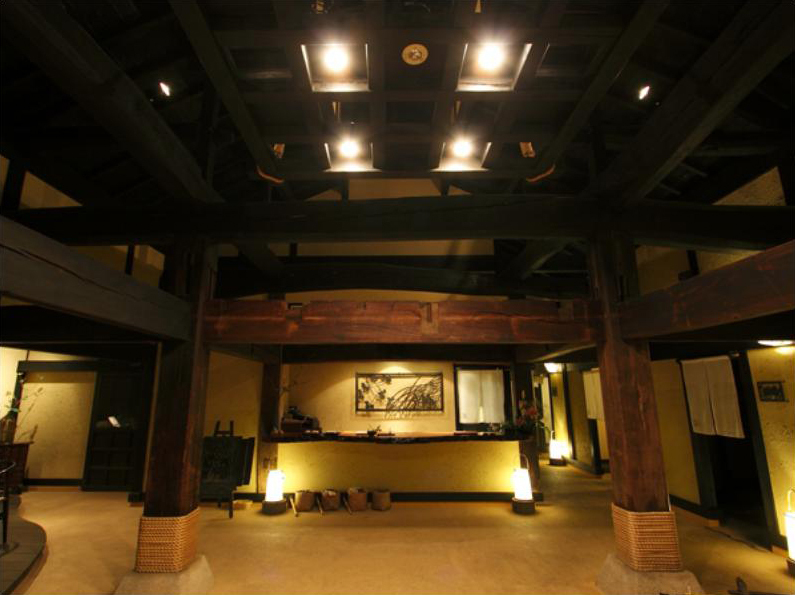 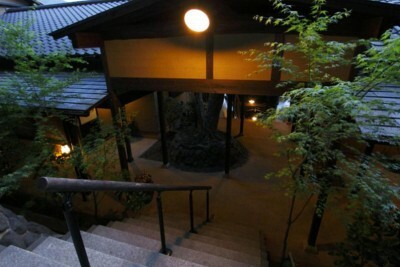 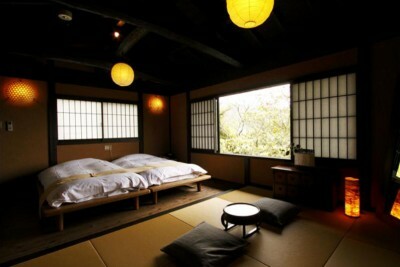 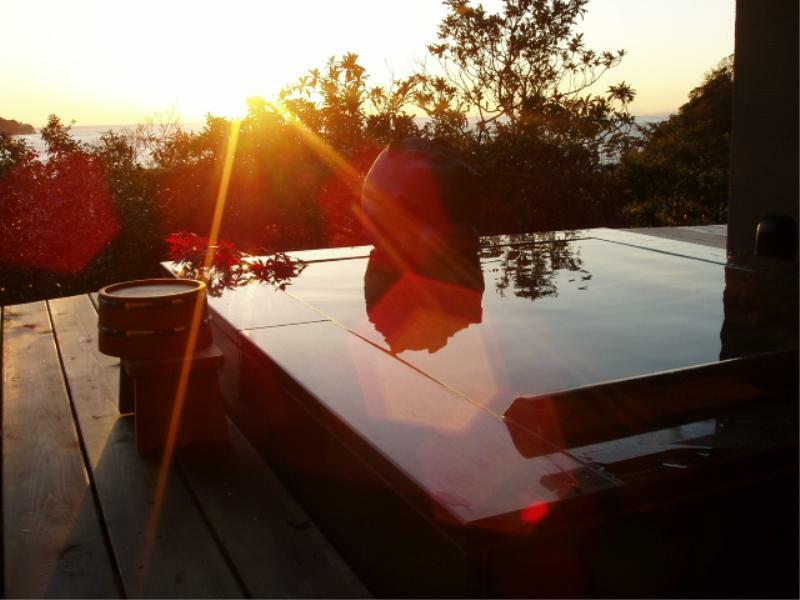 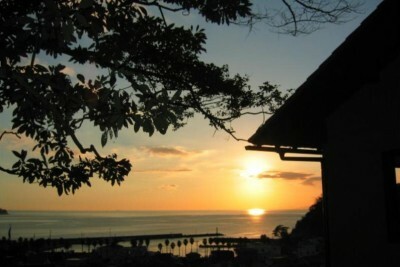 All rooms of Musouan Biwa in Toi Onsen (Shizuoka) come with open-air hot springs and terraces, commanding a view of the ocean. 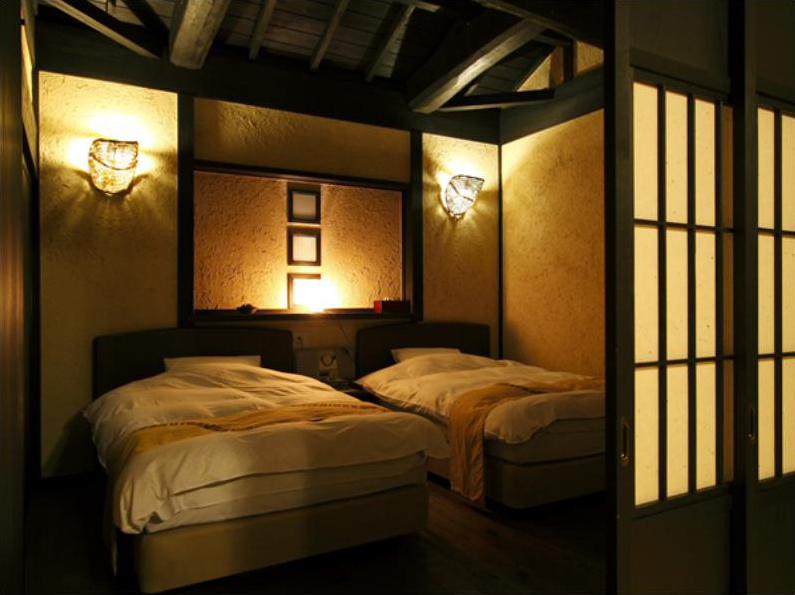 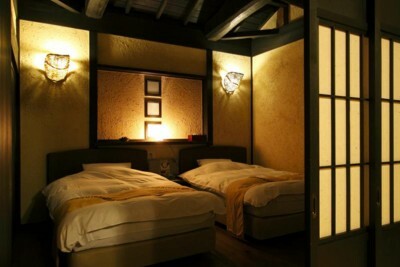 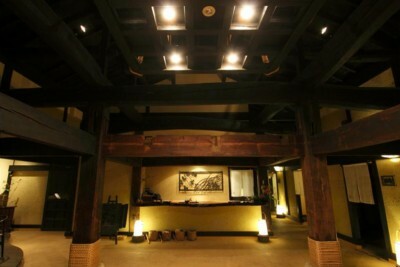 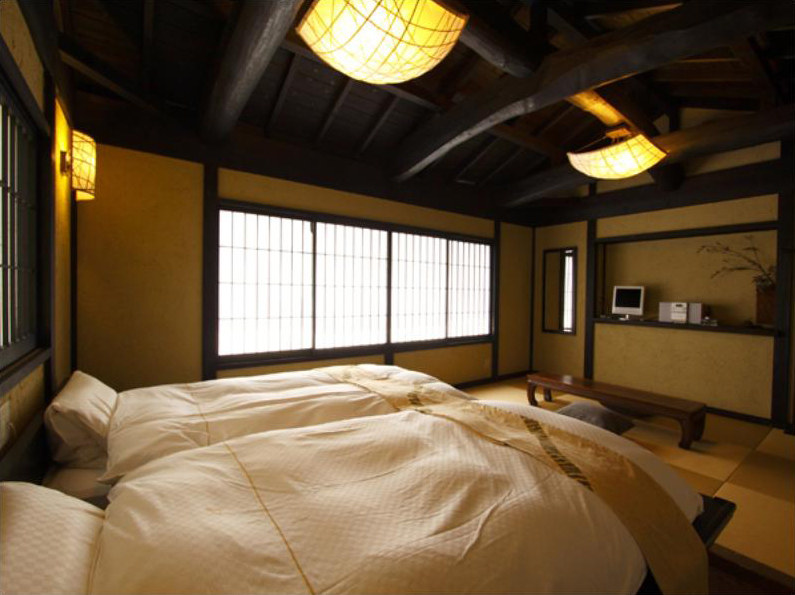 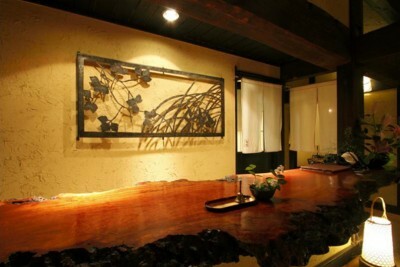 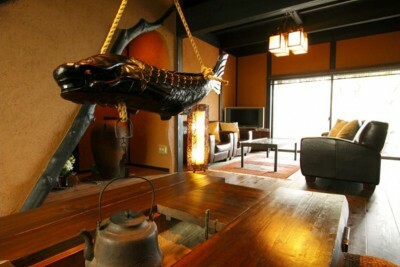 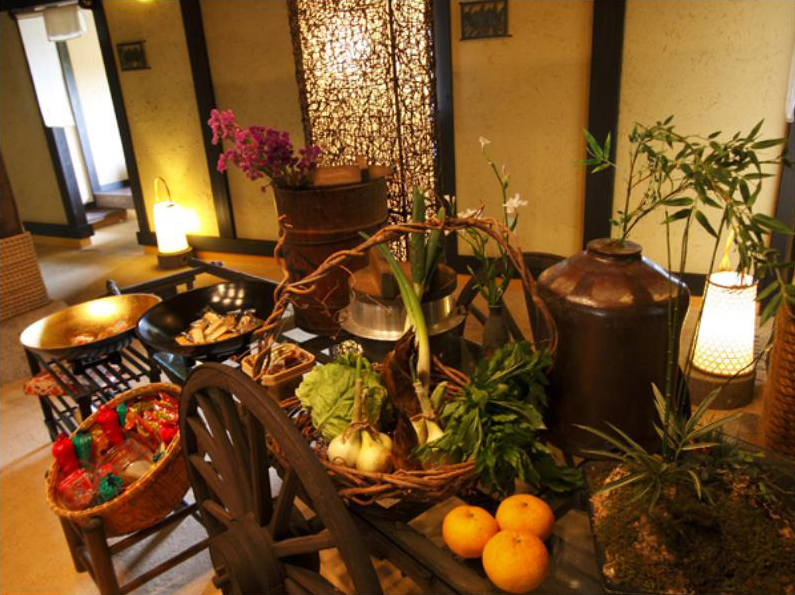 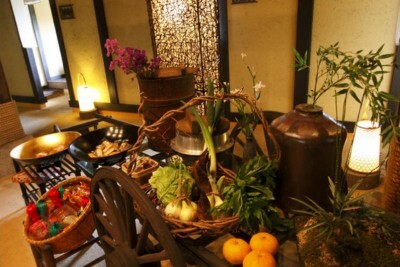 All rooms are separate old folk house-style buildings, and three of them are luxurious two-storey accommodations. 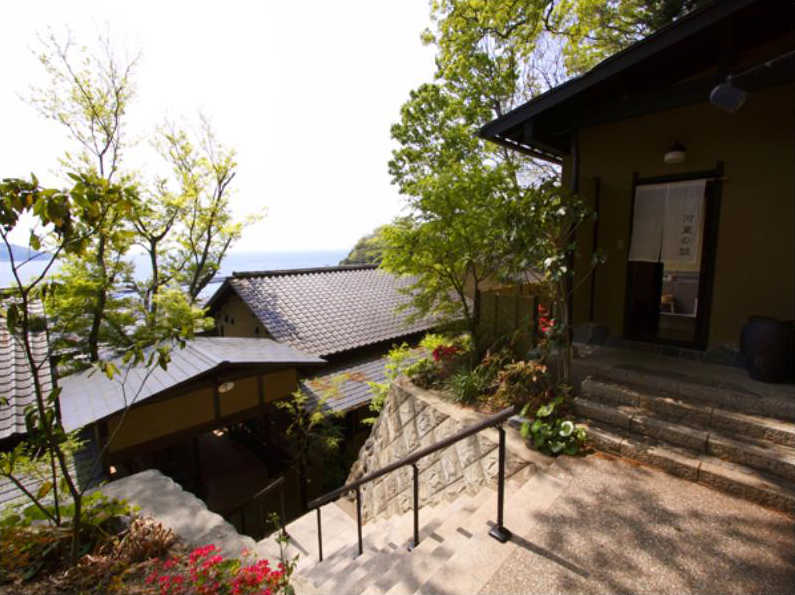 130 min by JR Limited Express from Tokyo Station to Shuzenji Station, then 40 min by bus to Oyabu and 5-min walk from there. 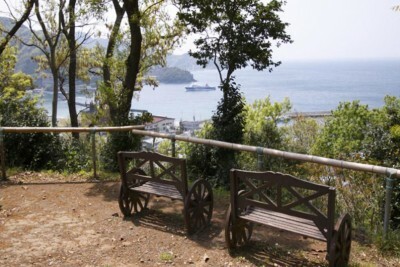 Airport Bus, 1000 yen (1 every hour) *The airport bus will run in accordance with flight arrival times. 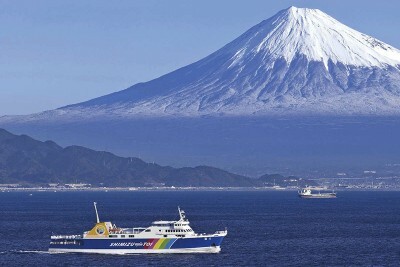 The courtesy bus will run in accordance with ferries departure times.